When it comes to building a targeted, relevant email program, it’s all about understanding your subscriber landscape. Where are your subscribers opening their emails? Are there any quirks you need to keep in mind? Email marketing can be a finicky beast, with email clients dropping or adding support for various design techniques without notice. 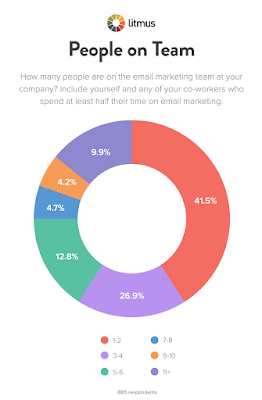 If you’re like the 41% of lone email marketers we surveyed in the State of Email Production, it can be hard to keep up with everything that’s going on. That’s why we’re here. You’re not alone! 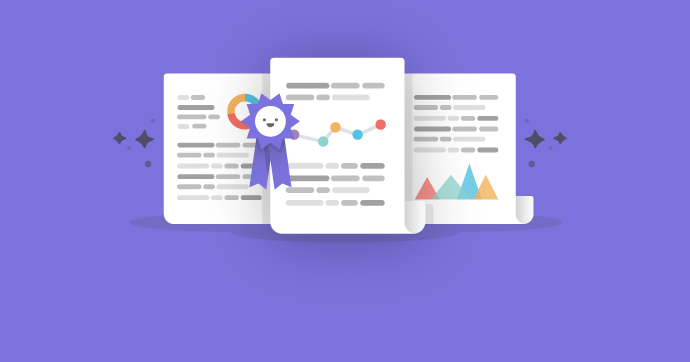 This data represents the top 10 most tested email clients by Litmus customers, not to be confused with our roundup of the most popular email clients by market share. 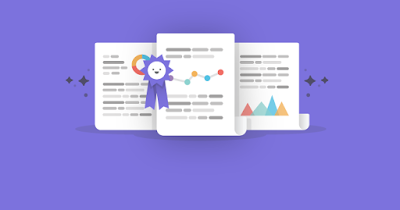 We analyzed over 360 million Litmus email previews tests to find out where email marketers and designers focused their testing efforts in 2016. This ranking was likely determined by how popular these clients are with our customers’ subscribers, as well as common rendering and bugs that make them important candidates to test and test again. You can use this as a starting point for your 2017 campaigns, or to benchmark your testing efforts against what your peers care about. With iPhone at 32% of all email opens and the #1 most popular email client, it’s no surprise that email marketers are testing their emails on the iPhone. Despite the fact that the iPhone 7 was introduced in September 2016, iPhone 6s remained the most popular iPhone client in 2016 for testing and for opens. iPhone 6s and 6s Plus features 3D touch, which adds pressure sensitivity and introduces peek and pop interactions. This allows users to “peek” at an email in a modal window with a light touch, or press harder to “pop” into the email itself, just like opening normally. This can impact your engagement metrics, as a “peek” still counts as an open, but users may not be actually reading your campaigns. Auto-scaling features, making even responsive emails appear to be zoomed in or off-centered. Apple Mail suggests disabling auto-scaling completely, though they are working on a fix. 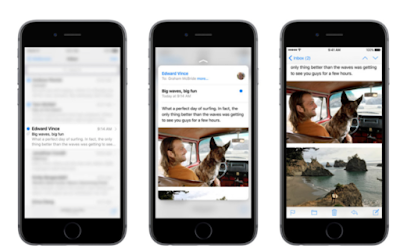 For a full list of what you need to know about iOS 10, check out this ultimate guide. The third most popular email client according to our market share stats, iPad represents 12% of total email opens. As with Apple’s other email clients, iPad uses WebKit to render, which means it supports most of the innovative (and awesome) techniques for HTML and CSS, like support for background images, video in email, and responsive design. One thing to note: While the screen size may be in between mobile and desktop, it’s unnecessary to target media queries for iPad users. The screen size is large enough to comfortably display most email designs. However, if you do choose to implement a specific media query, you can try this snippet. Outlook 2011, also known as “Outlook for Mac,” runs on OS X, Apple’s proprietary operating system for Macintosh computers. Because of this, it uses Webkit to render emails, eliminating many of the traditional Outlook quirks email geeks battle with. Outlook 2011 does block images by default, but will display them for marked safe senders. Using ALT text is essential here to make sure your subscribers opening in Outlook 2011 can understand your message. In addition, balancing out your live text and images in the overall design of your email ensures your emails are actionable regardless of whether images are present or not. iPad Mini uses the same display dimensions as the iPad, so there is no need to adjust your media queries if you’re already targeting these devices. One thing to note, however: Gmail’s changes to the rendering engine don’t apply to POP/IMAP accounts using the Gmail app. This refers to those who use the Gmail interface to access their email, but the email itself is from another service, such as @comcast.net, @outlook.com, @gmx.de, etc. This means there remains inconsistencies with lack of support for CSS and media queries in POP/IMAP accounts in the Gmail app vs. Gmail and G Suite users. Outlook.com began its career as Hotmail back in 1996, which Microsoft acquired and launched as MSN Hotmail in 1997. Later, it rebranded to Windows Live Hotmail, and finally was replaced by Outlook.com in 2013. Legacy users have all kept migrating over as and when changes happen, so it remains a popular email client with over 400 million active users. The newest version of Outlook.com poses several new challenges for email geeks, with rendering quirks that are different than the quirks found in the Outlook desktop client (of course). For a full list of rendering quirks and fixes, Remi Parmentier put together a comprehensive look at the new Outlook.com over on Medium. 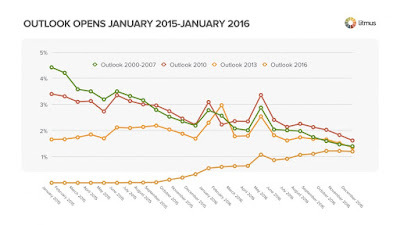 Outlook 2010 makes up about 30% of all Outlook opens (1.6% of all email opens) as of December 2016, so if your subscribers are generally Outlook users, it’s a good one to test. Because Outlook 2010 (as well as 2007 and 2013) uses Microsoft Word to render its emails (yes, a word processor!) there’s poor support for HTML and CSS. That means whatever ALT text you do include only appears at the very end of the security warning. Be careful about adding images to your designs if you’re optimizing for Outlook. Yahoo! Mail, as a webmail client, is subject to browser quirks, but it generally has good support for common HTML and CSS techniques used in email design. The align=center attribute doesn’t work, which causes tables to display to the left of the intended position. (Good news, though: We have a fix for that). Images often display with a gap underneath them, similar to Gmail. (Double good news: There’s a fix for that, too). Outlook 2013 has the same quirks as Outlook 2010, so it’s no surprise both made the list of the top most tested clients. 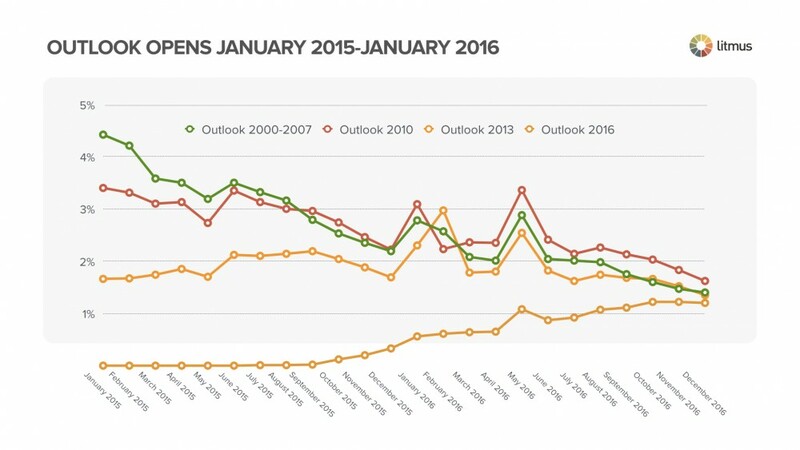 Overall, Outlook 2013 makes up about 25% of all Outlook opens (1.3% of all email opens) and has all of the same quirks as Outlook 2010, making it an important client to test over and over again. While it can be frustrating to deal with so many rendering quirks from popular clients, we’ve teamed up with Microsoft to make email better. If you’d like to report an Outlook bug, send us an email: outlook@litmus.com. 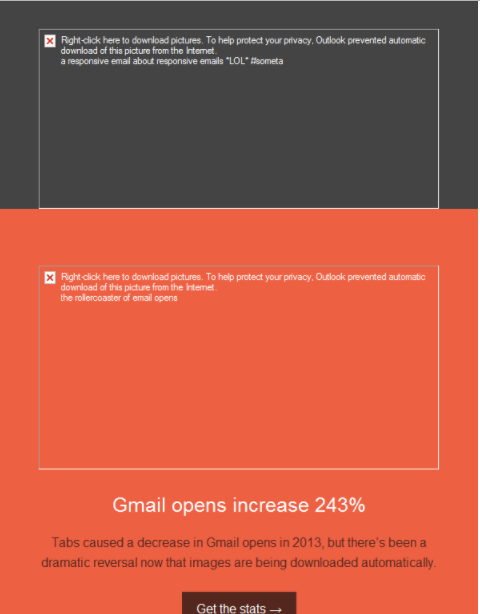 Drumroll, please…the number one most tested email client was Gmail! This comes as no surprise as 2016 brought a lot of changes to Gmail support. In fact, if you haven’t yet re-tested your templates, we definitely recommend it. 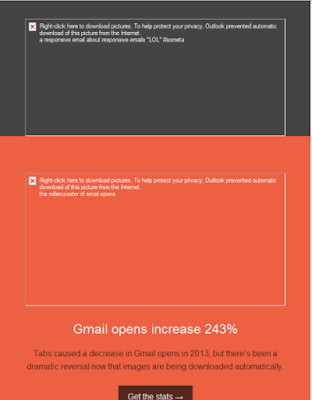 That’s not just because of these changes, but because Gmail is the most popular webmail client by far, jumping up from 16% to 20% email client market share in 2016 and coming in at the #2 spot on our top 10 list of most popular email clients. Responsive design. Responsive design involves the use of media queries to control the layout of email so that your message adapts to any screen size or device. While it may seem complicated, we’ve got a complete how-to guide to get you started. Better support for CSS in Gmail means more accessible campaigns, faster turnaround times, and less bugs to troubleshoot and fix, especially for a client with so much market share.